CHBA’s Net Zero Energy Housing Council (NZC) supports innovation in our industry with the goal of creating a market advantage for CHBA builder and renovator members pursuing Net Zero Energy performance. The Council's work will help to meet the housing aspirations of Canadians, and renew Canadian leadership in high performance housing. In alignment with the CHBA Strategic Priority to Advance Innovation, the mandate of this self-funding ad-hoc Council is to deliver services that will support members’ voluntary adoption of Net Zero Energy (NZE) housing. implement activities to identify barriers, find solutions, transfer knowledge, inform policy, accelerate action and increase efficiencies. Please see our meeting dates below. Council members will receive official notice of meeting registration deadlines directly via email. Otherwise, please subscribe to the Net Zero News (below) to receive announcements and updates. Insightful Healthy Homes Inc. Corvinelli Homes Ltd.
Naikoon Contracting Ltd. Dunsire Developments Inc.
For more information on our inaugural session held on May 2nd, 2016, click here. ​See what the NZC is working on right now! 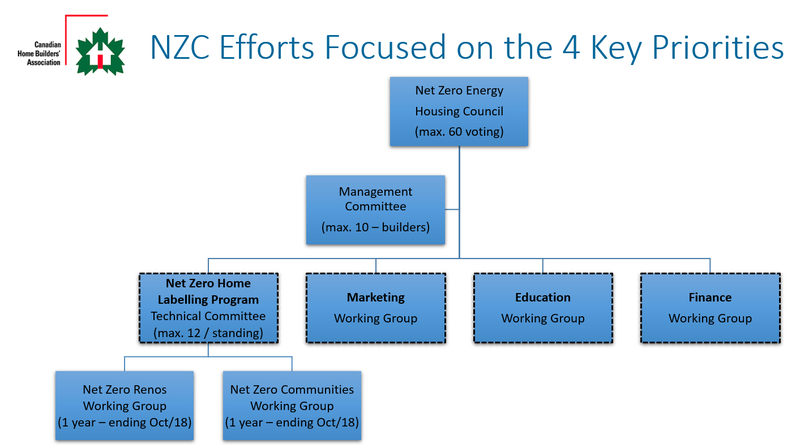 On December 9, 2014 the CHBA Board Executive Committee approved the Founding Members of the Association’s Net Zero Energy Housing Council. Members were selected for their demonstrated competence and experience in NZE or R-2000 Housing as well as their knowledge or capability in specialized areas important to the advancement of NZE Housing. The CHBA is proud to recognize the Founding Members of the Net Zero Energy Housing Council: see Media Release. This monthly e-publication provides updates on the efforts of the NZC including announcements of opportunities to get engaged, and delivers information on related events, webinars, and news. CHBA members are invited to submit their Net Zero related content by emailing us. All CHBA electronic publications, including the Net Zero News, are available to CHBA members by email. To manage your publication preferences, please sign in (top right of this page) and click on your name to access your profile, or by emailing communications@chba.ca. Click here for more Net Zero news. Please email applications to winkelmann@chba.ca.